I’ll be turning 31 in less than a month. And that’s okay. In fact, it’s good. – I am well beyond the college years, and don’t have to worry about things like partying or staying up all hours of the night. I can go to bed when I want to. No regrets. – I’m old enough to worry more about others than myself. In grade school and below, kids have no idea what empathy is. In high school and college, you are a too worried about your appearance/schoolwork to think about other people. After college, you have to worry about finding a job and paying rent/mortgages. Everything is in crisis mode. But by 31, you have a career. Maybe even kids. And you have time to start putting others first. 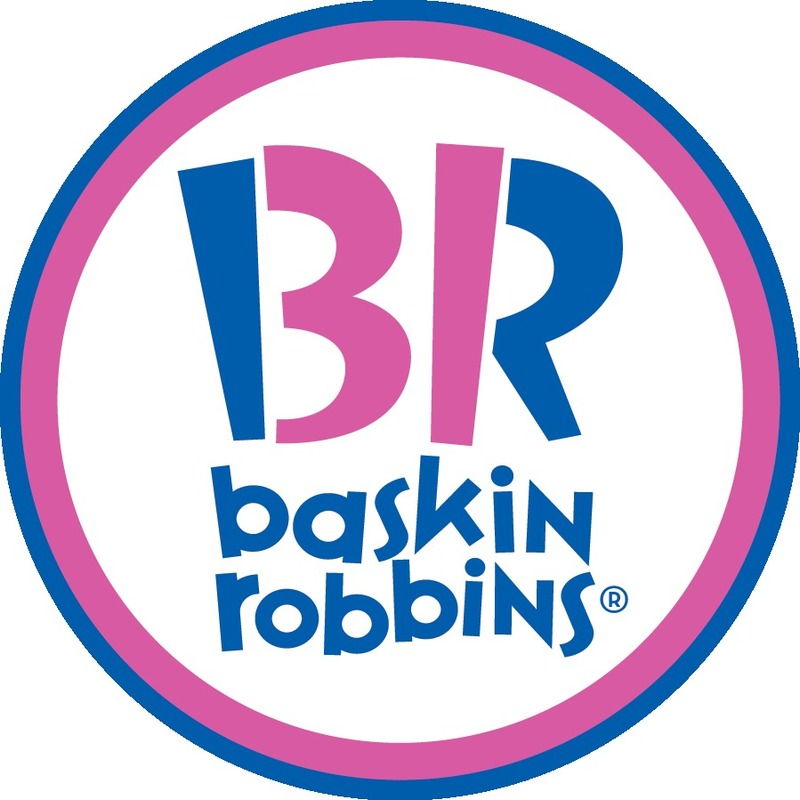 – 31 seems to work pretty well for Baskin Robbins, and everyone likes ice cream. Ergo, 31 must be good. – No milestone this year. You don’t have to worry about the heavy weight of entering your 30’s. You are already here. And the next milestone (40) is still a long way off. Enjoy it! – Age restrictions mean nothing to you. You’ve been able to drink (legally) for ten years now. It’s old-hat. You know what the next age-restriction is? Retirement, which is a pretty laughable concept anyway if you are just now turning 31, because Social Security is going to be long gone by the time you qualify. – You can comfortably mingle with people of all ages. You probably work with people both older and younger than you. You are not too old to relate to college folk. You may have young kids of your own, so you feel pretty comfortable around the younger crowd. And by now, you’ve entered a new phase of relationship with your parents and people of similar age. There is no one you can’t talk to. I’m sure there are a lot of things that I am missing. I couldn’t possibly know them all, since I am not yet 31. But I am looking forward to experiencing a birthday with no emotional rollercoasters. It’s been a couple of years (29=last year of your 20’s, 30=whole new decade). What are some of the perks of your age? I am sure that you are in the wrong house. About a year ago, my neighbors were having a party of some kind. Burgers on the grill, beverages chilling in a child-sized pool filled with ice, a fire in the fire pit. It seemed like a pretty nice get-together. My street was full of unfamiliar cars, their inhabitants either walking toward or already at the party next door. 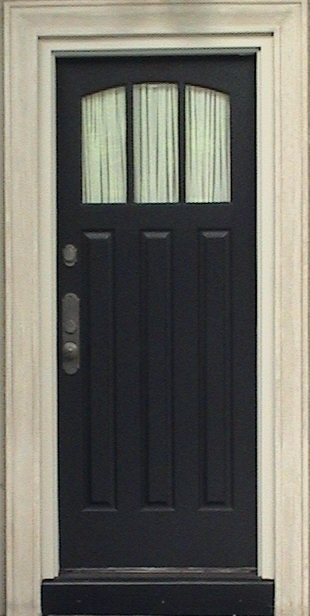 Since when did knocking before entering fall out of vogue? My wife and I were just about to leave our house for the store. Since it was warm out and we avoid using air conditioning when possible, we were just getting on the final layers of our clothing so as to be publicly appropriate when our back door opened. No knock. Just opened. There was a man in my house. A man who I did not know. The same man who my wife had seen just moments before walking around our backyard. As the protector of my family faced with a stranger in my house, I was suddenly angry. “You are in the wrong house,” I said. The stranger eyed me, swaying slightly. “Whose house is this?” he asked, suspiciously. I think he thought I was lying. I stepped forward to remove the man and close the door. He turned around and left. And after another trip through out backyard, he found the loud party filled with people next door. My wife and I looked at each other, both reeling slightly by the intrusion. We now leave our door locked, pretty much all of the time. But especially when our neighbors are having parties. One of my New Year’s resolutions was to put on my flash fiction contests. Or rather, I think that was one of them. It’s too long ago now to actually remember and I am too busy (lazy) to go back and look it up. Anyway, I’m starting something new on the blog. Every Saturday, I’ll be posting a picture to be used as a flash fiction prompt. Look at the picture and write the 100 word story that it inspires. If you blog, leave a link to your story in the comments. If you don’t blog, feel free to share the whole story in the comments. There are no prizes to be won for participation, just the knowledge that you are creating something that wasn’t in the world before. Be sure to come back tomorrow for the prompt! In novels, as in life, no good deed goes unpunished. 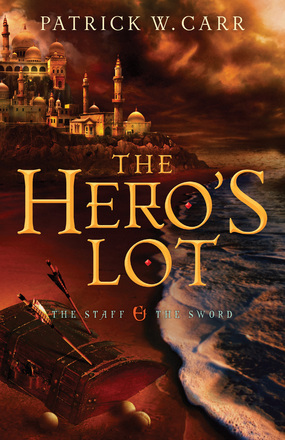 The Hero’s Lot, second in The Staff & The Sword series, picks up right where A Cast of Stones left off. Fresh from rescuing the kingdom, Errol Stone is arrested and given a likely death sentence. Compelled to travel deep into enemy territory and kill a nearly-omniscient foe, Errol assembles a band of Illustra’s finest warriors. Adventure ensues. Author, Patrick W. Carr, has hit his stride. Having developed the characters in A Cast of Stones, Carr is free to expand the scope of the story, revealing new races and ancient history. The tension grows throughout and readers will grow to love the world that Carr creates. This book could easily have been twice as long and no one would have complained. In fact, my only complaint is that I have to wait until February 2014 for the next book (A Draw of Kings) to release. Though published by a Christian publisher and with specific theological parallels, The Staff & The Sword series stands on its own merit as worthy of reading. In fact, some conservative folk may have issue with the amount of violence and substance abuse within these books. But readers willing to take a chance on this new author will be rewarded with a tale of redemption fraught with true-to-life struggles against the powers that control us. All without being preachy, which is nice. If you haven’t read A Cast of Stones, do that first, but follow it quickly with The Hero’s Lot. Chances are good that you will have just found a new favorite author. Read my review for A Cast of Stones here. On the origin of cartoons. On this day in 1955, Disneyland officially opened in Anaheim, California. And while I am not a fan of Disney cartoons or theme parks, there is no denying the influence that the Disney corporation has played in both media and culture. And it all started with cartoons. But where did the word “cartoon” come from? Well, it has French roots as “carton” or Italian roots as “cartone” and dates from the 1670’s. Originally, it referred to the “strong, heavy paper, pasteboard” that artists would use to make preliminary sketches. It wasn’t used to describe the comical drawings from newspapers and magazines that we know and love today until 1843. Of course, today, the word is synonymous with the animated variety that Walt Disney helped birth into modern culture. So, Happy Anniversary Disneyland, and thank you 17th century paper manufacturers for giving the world cartoons. There seems to be a lot of racial intensity in the news lately. Here are my thoughts. My earliest memory of experiencing the concept of race was when I was a toddler. My mom sold Avon products and I remember joining her on a visit to a black woman’s house. The woman had a son who was the same age as me, so my mother encouraged me to go play with him while she did her Avon sales call. I refused. Thinking back on this incident, I think my refusal was borne out of unfamiliarity rather than outright racism. I was scared, not of his skin, but of being away from my mother in general. Nevertheless, I regret that I didn’t go play with the boy. He probably had some cool toys. Fast forward to my college years. 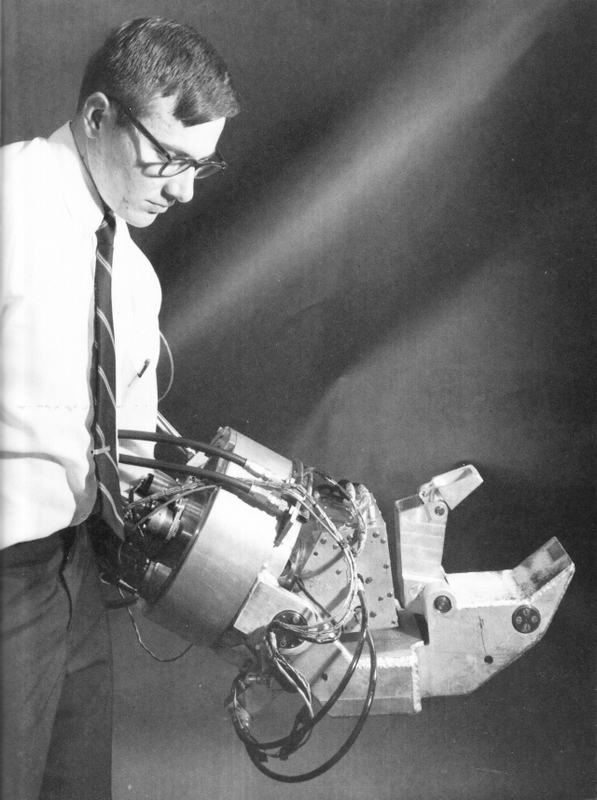 It was the summer of two jobs. During the day, I stacked and sorted lumber for Select Forest Products, a lumber wholesaler that supplies lumber yards with high-end wood. 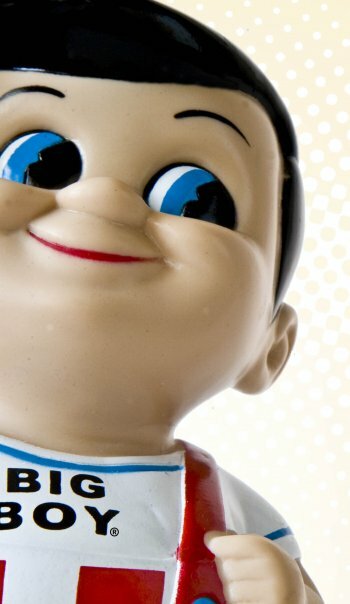 After work, I would take a quick shower at a friend’s house and head off to my second job, being a waiter at Big Boy. I wasn’t a waiter long before I noticed that one or two of the waitresses always handed off the tables in her section when the occupants were black. She explained that regardless of the level of service that she gave, nine times out of ten, she would get no tip. And so, I would wait on these tables for her. Sadly, her statistic rang true for me as well. But that didn’t stop me from trying to provide excellent service. To me, anyone who sat down in the restaurant was a customer and deserved our best, regardless of their skin tone. The other day, I learned that my daughter made her first racially insensitive comment. She was at grandma’s house and her aunt had a friend over. The friend is of asian descent and married a Puerto Rican gent. Together they created a brown-skinned child. My daughter loudly pointed to the child and said, “That boy is black.” Her aunt, trying to clarify and smooth over my daughter’s comment suggested that the other child’s hair was indeed black. To which, my daughter replied, “No, his skin is black. He’s black.” Of course, the child isn’t black at all. My daughter was simply making an observation about the child’s skin color. So now, I am entering a new phase of race relations and must help my children understand something that I am none too clear on myself. I mean, was it wrong of my daughter to observe the difference between herself and her dark-skinned companion? I don’t believe that paying attention to the differences between people is wrong, only treating people differently because of them. That said, everyone, regardless of race, should tip their waiter or waitress well.